Submitted photos The View from My Hammock is quilted fiber, 20” x 30” by Pam Geisel. 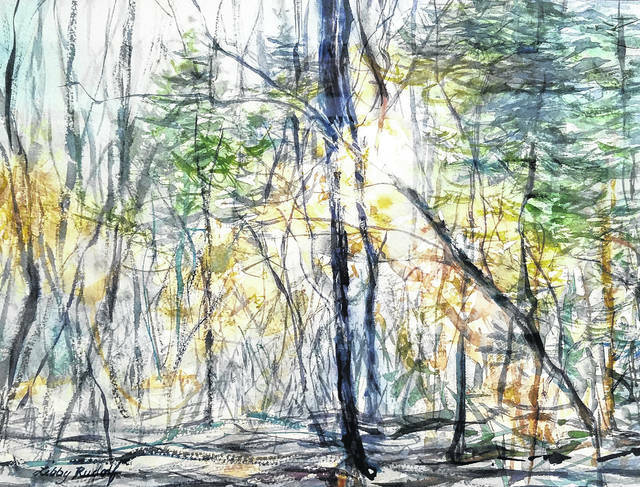 Light in the Snowy Woods is a watercolor, 16” x 20” by Libby Rudolf. YELLOW SPRINGS — Village Artisans Gallery in Yellow Springs is hosting Nature’s Beauty – A Members’ Art Show – in the lobby gallery through Feb. 11, 2019, during regular gallery hours. Village Artisans member artists challenge themselves to create artwork – in many media – that addresses the theme of “Nature’s Beauty.” Come see what kind of art this theme inspires. The Village Artisans Gallery has been a multi-media cooperative art gallery, since 1983. The gallery is located at 100 Corry St. Gallery hours are 11 a.m. to 5 p.m. Monday through Thursday; 11 a.m. to 6 p.m. Friday and Saturday and 12-5 p.m. Sunday. For more information stop in or call 937-767-1209, email villageartisans.email@yahoo.com, or visit www.villageartisans.blogspot.com or www.facebook.com/villageartisans. 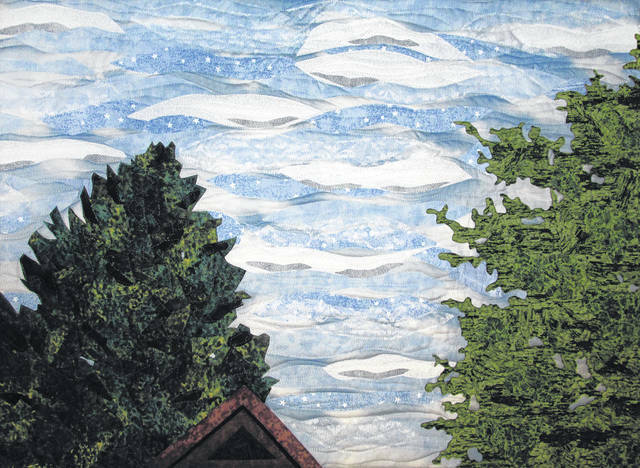 https://www.fairborndailyherald.com/wp-content/uploads/sites/50/2019/02/web1_GeiselTheView.jpgSubmitted photos The View from My Hammock is quilted fiber, 20” x 30” by Pam Geisel. https://www.fairborndailyherald.com/wp-content/uploads/sites/50/2019/02/web1_SnowyWoods.jpgLight in the Snowy Woods is a watercolor, 16” x 20” by Libby Rudolf.